Tips Archives - Bryley Systems Inc. The 2015 Arkansas murder case that depended on smart-home devices, made the news again as the judge in the civil case upheld his ruling that James Bates is financially liable for the death of Victor Collins. The case against the accused was built on, among other forensics, records from Amazon whose Echo device was installed by the scene of Collins’ death, as well as evidence from a so-called smart meter. The smart meter reported inordinate usage of water around the time of death, which led the police to argue that a bloody patio was hosed down. 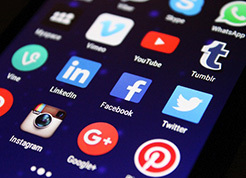 A sense of belonging, a sense of community and for businesspeople, a touchpoint for customer service and the ability to market to specific demographics are among social media’s benefits. And like every technology, social media – by which I mean websites that offer sharing tools that allow people to interact (e.g. Instagram, Twitter, SnapChat, Facebook, YouTube) – have their drawbacks. Just about everything requires a computer these days. When your computer works, it’s great. When a problem arises, the first thing to do is try not to panic. There are many different things that could cause a problem with your computer. No matter what’s causing the issue, troubleshooting will always be a process of trial and error. You may find yourself trying a few different approaches before you can find a solution. Some issues are easy to fix and others may require the help from a professional, but if you decide to try to tackle it on your own here are a few tips. Write down your steps. Once you start troubleshooting, you may want to write down each step you take. This way, you’ll be able to remember exactly what you’ve done and can avoid repeating the tasks. If you end up asking other people for help, it will be much easier if they know exactly what you’ve tried already. Take notes about error messages. If your computer gives you an error message, be sure to write down as much information as possible. You may be able to use this information later to find out if other people are having the same error. Always check the cables. It’s very easy to accidentally knock a cable out of connection, so if you’re having trouble with a specific piece of computer hardware, such as your monitor or keyboard, an easy first step is to check all related cables to make sure they’re properly connected. Restart the computer. When all else fails, restarting the computer is a good thing to try. This can solve a lot of basic issues you may experience with your computer. Process of Elimination. If you’re having an issue with your computer, you may be able to find out what’s wrong using the process of elimination. This means you’ll make a list of things that could be causing the problem and then test them out one by one to eliminate them. Once you’ve identified the source of your computer issue, it will be easier to find a solution. This is just one example of an issue you might encounter while using a computer. You are trying to print, but the printer won’t print. You have some ideas about what could be causing this, so you go through them one by one to see if you can eliminate any possible causes. First, you check the printer to see that it’s turned on and plugged in to the surge protector. It is, so that’s not the issue. Next, you check to make sure the printer’s ink cartridge still has ink and that there is paper loaded in the paper tray. If things look good in both cases, so you know the issue has nothing to do with ink or paper. Make sure the printer and computer are communicating correctly. If you recently downloaded an update to your operating system, it might interfere with the printer. But you know there haven’t been any recent updates and the printer was working yesterday, so you’ll have to look elsewhere. You check the printer’s USB cord and find that it’s not plugged in. You must have unplugged it accidentally when you plugged something else into the computer earlier. Once you plug in the USB cord, the printer starts working again. It looks like this printer issue is solved! Simple solutions to common problems. Sometimes, problems can be fixed using simple troubleshooting techniques, like closing and reopening the program. It’s important to try these techniques before resorting to more extreme measures. If the problem still isn’t fixed, you can try other troubleshooting methods. Power button will not start computer. If your computer does not start, begin by checking the power cord to confirm that it is plugged securely into the back of the computer case and the power outlet. If it is plugged into an outlet, make sure it is a working outlet. To check your outlet, you can plug in another electrical device, such as a lamp. If the computer is plugged in to a surge protector, verify that it is turned on. You may have to reset the surge protector by turning it off and then back on. You can also plug a lamp or other device into the surge protector to verify that it’s working correctly. If you are using a laptop, the battery may not be charged. Plug the AC adapter into the wall, then try to turn on the laptop. If it still doesn’t start up, you may need to wait a few minutes and try again. An application is running slowly. Close and reopen the application. Update the application. To do this, click the Help menu and look for an option to check for Updates. If you don’t find this option, another idea is to run an online search for application updates. Sometimes an application may become frozen. When this happens, you won’t be able to close the window or click any buttons within the application. Force quit the application. On a PC, you can press (and hold) Ctrl+Alt+Delete (the Control, Alt, and Delete keys) on your keyboard to open the Task Manager. On a Mac, press and hold Command+Option+Esc. You can then select the unresponsive application and click End task (or Force Quit on a Mac) to close it. Restart the computer. If you are unable to force quit an application, restarting your computer will close all open apps. Empty your recycle bin by right-clicking on the Recycle Bin icon (usually on the desktop) and choosing the “Empty Recycle Bin” option. Check your mail files. Remove any large attachments and delete unused mail. Images and videos take up a lot of space, so consider moving those to an external drive. A virus is a malicious computer program that is designed to interfere with the operation of a computer program or destroy computer programs. They occur in various forms and they normally attack computers from various sources such as infected external memory modules, fake software, or the internet. Installing anti-virus software is the best way to eliminate malware and other forms of malicious computer software. However, it is important to ensure that you install an antivirus software that is compatible with your operating system and computer specifications. It is also important to routinely check for software updates. It is worth noting that the best remedy for this problem would be to avoid using infected secondary storage devices with your computer and avoid visiting websites that are likely to have viruses. This due to the fact that sometimes, the anti-virus software may degrade the performance of the computer. Sometimes your computer may become completely unresponsive, or frozen. When this happens, you won’t be able to click anywhere on the screen, open or close applications, or access shut-down options. (Windows only): Restart Windows Explorer. 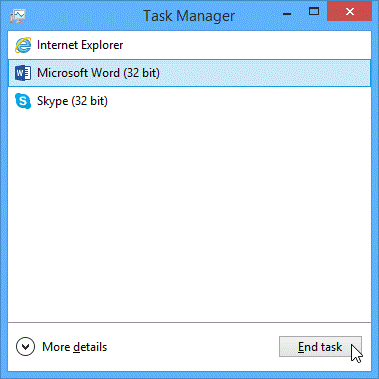 To do this, press and hold Ctrl+Alt+Delete on your keyboard to open the Task Manager. Next, locate and select Windows Explorer from the Processes tab and click Restart. You may need to click More Details at the bottom of the window to see the Processes tab. Run a virus check when the computer goes back to its normal working condition. (Mac only): Restart Finder. To do this, press and hold Command+Option+Esc on your keyboard to open the Force Quit Applications dialog box. Next, locate and select Finder, then click Relaunch. Press and hold the Power button. The Power button is usually located on the front or side of the computer, typically indicated by the power symbol. Press and hold the Power button for 5 to 10 seconds to force the computer to shut down. If the computer still won’t shut down, you can unplug the power cable from the electrical outlet. If you’re using a laptop, you may be able to remove the battery to force the computer to turn off. Note: This solution should be your last resort after trying the other suggestions above. Mouse or Keyboard Stops Working. If you’re using a wired mouse or keyboard, make sure it’s correctly plugged into the computer. Be sure the cord is not damaged. If it is, replace it. If you’re using a wireless mouse or keyboard, make sure it’s turned on and that the batteries are charged. Clean the bottom of your mouse, and use compressed air to clean the keyboard. This is a very common computer problem especially if you have installed sketchy or buggy software. The most important question to ask yourself is what did I just do before the device stopped working? If you installed a new piece of software, plugged in to new hardware, downloaded custom drivers, installed a Windows update, or changed settings, this could be the cause. Depending on what you just did, the repair may depend on that change. If your computer is unusually hot, it could be due to running high-performance settings. This may be the cause of BSOD. Remove any unnecessary hardware. Things like USB flash drives, Ethernet or HDMI cables, controllers, printer cables, SD cards, and so on can be removed from your computer without impacting the computer’s performance. Furthermore, flaws in hardware items such as these can trigger a BSOD and continue to trigger it until they are removed. Wait for your computer to restart. Once BSOD appears, Windows will diagnose the problem, attempt to fix whatever the issue is, and then restart. If your computer restarts like usual and doesn’t run into a Blue Screen error again, you can make some changes right from your desktop. If the BSOD appears again while your computer is attempting to restart, check its error code. If the error code is 0x000000EF, you should immediately skip ahead to the next part. If not, try rebooting in Safe Mode. Run a virus scan. While rare, sometimes viruses can trick your computer into thinking that it’s malfunctioning, which can in turn cause the BSOD crash. If the virus scan comes up with any malicious software, remove it immediately. If the virus scan sends software settings suggestions (e.g., battery life) to you during the scan, try implementing them. A flawed setting may cause the BSOD to appear. Check the volume level. Click the audio button in the top-right or bottom-right corner of the screen to make sure the sound is turned on and that the volume is up. Check the audio player controls. Many audio and video players will have their own separate audio controls. Make sure the sound is turned on and that the volume is turned up in the player. Check the cables. Make sure external speakers are plugged in, turned on, and connected to the correct audio port or a USB port. If your computer has color-coded ports, the audio output port will usually be green. Connect headphones to the computer to find out if you can hear sound through the headphones. The computer may be in Sleep mode. Click the mouse or press any key on the keyboard to wake it. Make sure the monitor is plugged in and turned on. Make sure the computer is plugged in and turned on. If you’re using a desktop, make sure the monitor cable is properly connected to the computer tower and the monitor. If you don’t find a solution to your problem, you may need to ask a family member or friend for assistance. You can always search the Web, look for a YouTube video or a chat line. Keep in mind that some computer problems have simple solutions, although it may take some time to find them. For more complex problems, more in-depth solutions may be required, such as reformatting your hard drive or reinstalling your operating system. Call us at 978-562-6077, or email us at ITExperts@Bryley.com. We are here to help. Technology has made it very convenient to purchase just about anything and have it delivered at our doorstep. Online buying and package delivery has really become the norm for retail shopping. However, especially during the holiday season, there’s an unfortunate piece of news – “porch pirates” – those modern day thieves who steal packages from doorsteps. In a report from Package Guard, it claims that 11 million US homeowners have had packages stolen from their front door or porch in 2017, and those numbers are due to be higher by the end of this year. Every IT professional would agree that servers are the lifeblood of your organization. No matter what daily task you perform, whether it is responding to email, preparing for a presentation, or completing other workday tasks, it’s important to have a server in your office that runs smoothly. No organization, no matter what the size, wants to face the IT issues associated with a slow or non-responsive server. 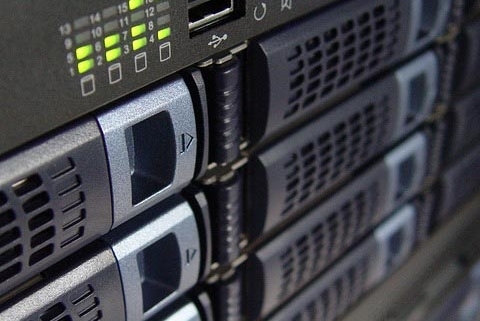 While there is no way to accurately predict when a server will need to be replaced, there are some general guidelines you should observe to ensure that this critical piece of equipment is running properly. With all the electronic devices that are used in homes and offices in today’s high tech world, oftentimes there just aren’t enough electrical outlets to plug them all into. Power strips offer a solution which enables a single outlet to handle multiple devices. But if you don’t choose one that also offers surge protection, you could be putting your devices at risk. Oftentimes, when you come across an article that someone is raving about as a ‘”MUST READ – Changed my life”, you glance through it with some skepticism, and then realize that it won’t change your life. However this time I came across one of these “life changing” articles and wow – it peaked my interest! It gave me an entirely different perspective on how to approach a conversation. The Federal Trade Commission recently posted an article advising consumers to keep an eye out for card skimmers when paying for gas at the pump. Skimmers are discrete devices which can be attached to payment terminals, allowing criminals to capture your credit card information. Once they have your information they will either sell it to another party, or use it to make purchases on their own. Unfortunately these devices are hard to spot and tend to blend in, especially when our attention is focused on pumping gas. 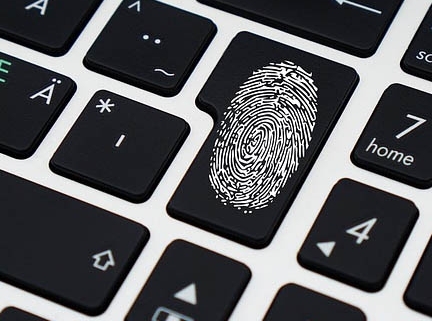 By educating yourself on what to look for, however, you stand a good chance to avoid becoming a target of criminals employing this technology. Look for a seal (sticker) on the gas pump. If the seal is broken or appears to have been tampered with, use a different pump and alert an attendant. Check to see if the card reader at your pump looks different than the readers at other pumps. If it does, move to a different pump and let an attendant know. Keep a close eye on your credit card statements. Be sure to report any fraudulent charges to your bank or card issuer. Click here to read the full article on the FTC’s website. How many times have you answered your phone only to hear a recorded message instead of a live person? It’s annoying, it’s illegal and it’s known as a robocall. “The FTC has seen a significant increase in the number of illegal robocalls because internet-powered phone systems have made it inexpensive and easy for scammers to make illegal calls from anywhere in the world, and to hide from law enforcement by displaying fake caller ID information. To date, the FTC has brought more than a hundred lawsuits against over 600 companies and individuals responsible for billions of illegal robocalls and other Do Not Call violations. There are options for blocking robocalls and other unwanted calls. Mobile Apps. Call blocking apps let you create blacklists – lists of numbers to block from calling your cell phone. Many of these apps also create their own blacklist databases from numbers that have received significant consumer complaints and some even use complaints to the FTC as a source. They also let you create whitelists – numbers to allow – that are broader than just your personal contacts. Some mobile apps let you choose which types of calls you want to block. For example, you might block all calls except contacts, or all calls except your contacts and numbers on a whitelist that you have created. Some apps offer additional features: reverse call look up, providing data on incoming numbers (like community-based reviews or data about the number from a search engine), blocking unwanted texts, logging the number of calls received from a number, and silent ringers for unknown callers. Some mobile apps give you choices about how to respond to an incoming call. For example, you can send a prewritten text message to the caller or file a complaint with the Federal Trade Commission. And some apps let you block calls based on the geographic location or area code of the incoming call. Features Built Into Your Mobile Phone. Many mobile phones come equipped with features built into the device that can block calls from specific numbers. These features can let consumers block specific contacts, identify unwanted incoming calls for future blocking, and set “do not disturb” hours. You must manage these lists on your own, and the device may limit the number of calls you can block. Since these features are built into the phone’s operating system or come pre-installed, you may not need to download an app unless you want some more sophisticated features, like tapping into a database of blacklisted numbers. Cloud-Based Services. Cloud-based services can block unwanted calls for mobile phone lines or phone lines that operate over the internet, like phone service provided by a cable company. Your carrier may give you information about a cloud-based service operated by another company. The service might be a mobile app or a service that requires you to register your phone line. Cloud-based services reside on large, shared computer systems that can collect data from lots of users and use it to build crowd-sourced blacklists. These services rely on accessing your call data to add to their databases. Some cloud-based services and mobile apps require all calls to be routed through their service, where they are instantly analyzed. You may have choices about how unwanted calls are handled – for example, they might ring silently, go straight to a separate voicemail, or go to a spam folder. Some cloud-based services are free and some charge a monthly fee. Call-Blocking Devices. Devices that block unwanted calls can be installed directly on a home phone. Some devices use blacklist databases of known spam numbers and allow you to add additional numbers to be blocked. Other blocking devices rely on you to manually create and update your own blacklist. Some devices divert the call after one ring, and some show a blinking light when an unwanted call comes in. Other devices connect the unwanted caller to a recording with options that allow legitimate callers who were mistakenly blacklisted to ring through. Some devices rely on a whitelist that limits incoming calls to approved numbers. Some also allow you to set up “do not disturb” hours. You’ll have to pay to buy a call-blocking device, and not all devices work on all types of home phones and carriers. Carrier Services. You may consider using services provided by your phone service carrier. Carriers typically have solutions for all phones – landline, cable, internet and mobile devices. Many carriers allow you to block between 10-30 numbers, but you are responsible for identifying the numbers to block. Robocallers frequently shift the numbers they use, so the robocaller may still be able to get through by changing the number they use. Some carriers provide these services for free; others charge a fee. You can check your carrier’s website or call customer service for more information. 1 The Federal Trade Commission (FTC) is the nation’s consumer protection agency. Federal Trade Commission, Privacy, Identity and Online Security. https://www.bryley.com/wp-content/uploads/logo-340.png 0 0 Guest Author https://www.bryley.com/wp-content/uploads/logo-340.png Guest Author2018-08-28 06:00:392018-08-29 09:13:31Another Annoying Robocall. Help!